Authorities catch Bedouin antiquities thieves red-handed at ancient ruins. Authorities nabbed five Israeli Arab antiquity thieves as they conducted illegal excavations of ancient ruins protected by Israeli law. 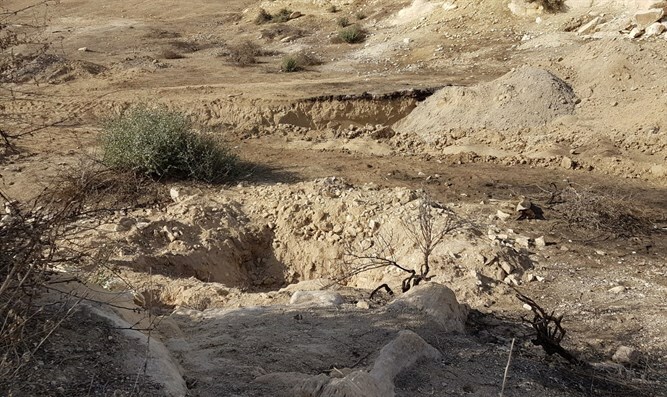 Border Police officers and officials from the Israel Antiquities Authority caught the five suspects red-handed as they sought to plunder the ruins at Horvat Shemarya in southern Israel. All five the suspects are residents of the nearby Bedouin town of Rahat. The arrest came after authorities noticed evidence of illegal digs at Horvat Shemarya. In a joint operation between the Border Police and the IAA, a trap was set for the antiquities thieves, who were arrested as they began another illegal dig at the site. The five were arrested and taken in for questioning.